The 5th. Bn. 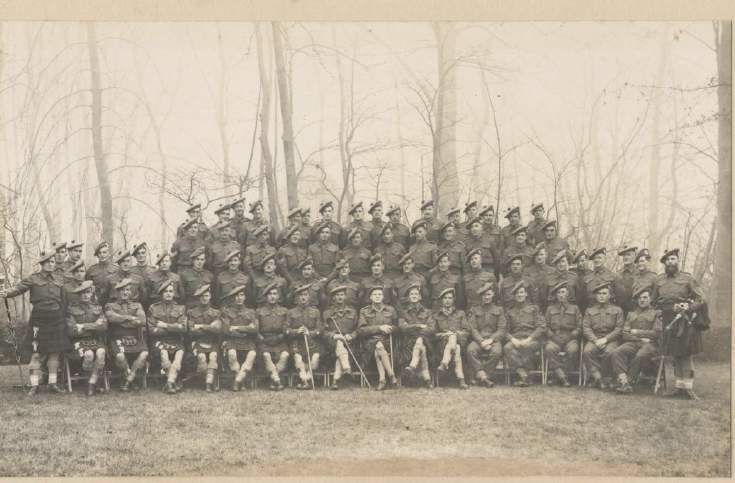 Seaforth Highlanders, along with the rest of the 51st. Highland Division, came home from Sicily in November 1943. This is a photo of their Sergeants Mess. My late father in law, who is in the picture, maintained it was taken during the winter of 1943-1944 at Much Hadham in Hertfordshire. I would be interested if anyone could cast further light on the subject. I recognise the fellow with the bagpipes as Gordon Asher. My father Archie Lockie is probably in the photo. It would be better if it was blown up slightly. I have a number of other photos of 5th Seaforth and also one of a 5th Seaforth dance band called the Wildcats at Much Haddam during WW2. ~ Thank you for your comment ~ Administrator.